The Iraqi government is warning that falling oil prices are “disastrous” and will hinder its military campaign against the Islamic State unless they get some relief. Meanwhile, plans for a joint US-Iraqi mission to retake Mosul are reportedly underway. Iraqi Prime Minister Haider al-Abadi made the remarks while attending a meeting of the US-led coalition against Islamic State in London on Thursday. Abadi said allies could help by allowing Iraq to defer payments for ammunition and weapons. “Oil prices have dropped to about 40 percent of their level last year. Iraq’s economy and budget relies 85 percent on oil and this has been disastrous for us,” he told reporters at a news conference, according to Reuters. Iraq has been struggling to fight back against the Islamic State (also known as ISIS/ISIL) since last year, when the extremist group began conquering wide swathes of territory in the western and northern parts of the country. Iraqi and Kurdish forces, alongside US-led airstrikes, have halted the militants’ advance, but they still control large portions of the country. Iraq has added more oil to the market than any other OPEC cartel member, and it continues to overproduce to try and combat the damage of collapsing prices, which the country’s oil minister believes has slashed 50 percent of the state revenue. Current production is 4 million barrels per day. US Secretary of State John Kerry, who was at the London meeting, said that while the struggle against the Islamic State would be a long one, Iraq shouldn’t worry about having enough weaponry to finish the job, as a large consignment of US made M-16 rifles would be arriving shortly. Additional criticism has surfaced from Iraqi commanders regarding coalition efforts over miscommunication, failed deliveries of weapons, inadequate training and differences in strategy. Prime Minister Abadi told the Associated Press they’ve been almost left alone to get arms and munitions for the army and their fighters, and that they expected more. He stressed, however, the government doesn’t want any foreign boots on the ground, and the airstrikes have been “very, very effective." These comments were dismissed by Defense Secretary Chuck Hagel at the Pentagon, the Washington Post reported. The US and Iraq, however, have begun preparations for an assault to retake Mosul that would occur by summer, and are selecting and training military units, a top American commander told the Wall Street Journal. 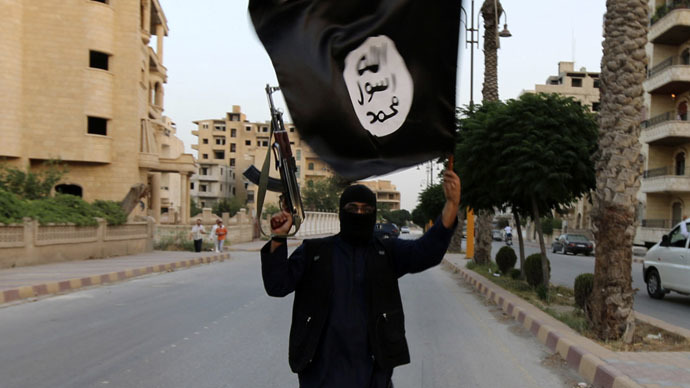 The plan is to cut supply lines to Islamic State militants. The mission will involve Iraq’s most experienced military forces, including Kurdish fighters and US-trained Sunni fighters, according to Gen. Lloyd Austin head of the military’s Central Command. Gen. Austin said he had not decided whether to recommend that US ground troops accompany local units pushing into Mosul, a city of 600,000, but emphasized the military would “do what it takes.” US officials estimated that Islamic State forces once numbered up to 14,000, but Gen. Austin said there are signs the group is “beginning to experience a manpower issue.” It is reportedly recruiting child soldiers and forcibly conscripting fighters in Mosul. Since the US-led offensive against the Islamic State began five months ago, Kerry said that nearly 2,000 airstrikes have helped ground forces retake 700 square kilometers (270 square miles) of territory, kill 50 percent of Islamic State commanders, and choke off some of the group’s oil revenue. According to US officials, approximately 6,000 Islamic State members in Iraq and Syria have died following the strikes. Still, Hagel downplayed these statistics on Thursday, saying they may not be a reliable indicator of success. "Is that the measurement or a significant measurement of progress? It is a measurement. But I don't think it is 'the' measurement," he said, according to The Hill. "I mean, I — I was in a war where there was a lot of body counts every day. And we lost that war," he added, referring to the Vietnam War. British Foreign Secretary Philip Hammond said in London that the coalition could take two years to expel Islamic State from Iraq, and Baghdad’s own forces would be incapable of proper combat operations for months.